There are 16 members of the PDX Urban Wineries Association. We all live and make wine in our great city of Portland. And strangely, we all like each other. Angel Vine is located inside Urban Crush in SE Industrial focusing on Zinfandel and the various cousins of the grape. Boedecker Cellars is in the industrial NW of Portland focusing on Pinot Noir. Clay Pigeon is in the SE industrial neighborhood of Portland (@ Urban Crush), focusing on Pinot, Syrah and Cab Franc. Division Wine Company is in the SE Division corridor specializing in Pinot Noir, Gamay and Chardonnay. Enso winery is in the SE Industrial section of Portland focusing on Cab Franc, Mourvedre, Grenache and Sangria. fausse piste is located in SE Industrial neighborhood of Portland, making Rhone variety wines (Syrah, Grenache, Viognier) from Washington vineyards. Gersing Cellars is located in SE Portland (at SE Wine Collective) focuses on Oregon and Washington fruit for their Pinots, Cabernets and blends. Hip Chicks do Wine is in SE Portland, established in 1999, making a range of varietals from Pinot Noir to Zinfandel from Oregon and Washington. Jan Marc Wine Cellars is in the N Portland neighborhood focusing on Pinot Noir, Cabernet and Chardonnay. Japser Sisco is in SE Portland focused on single vineyard wines sourced from sites throughout the Pacific NW. Ram Celllars is in the SE Industrial section of Portland focusing on Cab Franc, Malbec, Gruner Veltliner sourced from fruit from Oregon and Washington. 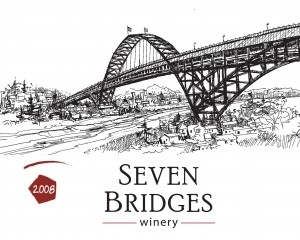 Seven Bridges is located in industrial NE focusing on Rhone and Bordeaux varietals from Oregon and Washington. Viola Wine Cellars is in NE Portland focusing on Italian varietals from the Columbia Gorge. Welsh Family Wines is located in SE Portland (at SE Wine Collective) making food friendly wines with a focus on Pinot. Willful Wine Company is in SE Portland (at SE Wine Collective) focusing on Pinot Noir, Cab Franc and Tempranillo.